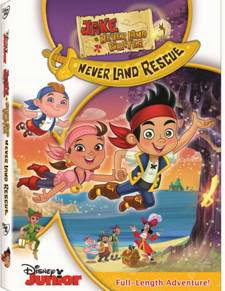 Jake & The Never Land Pirates: Never Land Rescue on DVD Nov 19! 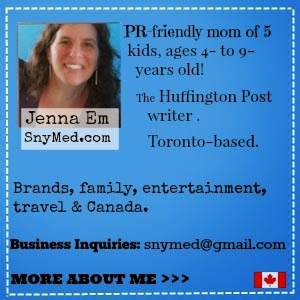 WIN a copy of Disney' Juniors Jake and the Never Land Pirates: Jake's Never Land Rescue on DVD combo from SnyMed.com! Contest open to Canada (sorry Quebec), and ends Wednesday December 11th, 2013. We cannot guarantee Christmas delivery for the contest winner, although every attempt will be made. Thank you for understanding. Leave a COMMENT below stating what would be the greatest thing you could ever find in a treasure chest OR state if you child or grandchild likes Jake or pirates! Then, use the entry form below to enter the contest. GOOD LUCK! My grandson loves pirates, he was one for Halloween too. He couldn't stand the eye patch though, mind he is only 3 yrs old. My Grandson loves Jake and the Pirates!! This would be so great as his birthday and Christmas are just weeks apart. What what I like to find in a treasure chest...train or plane tickets to NB to see him!! The greatest thing I could find in a treasure chest would be plane tickets for a vacation! Kaelyn loves jake and the pirates, but its not on netflix and i cancelled my cable. She would love a dvd of jake! All of the pictures that I lost in a flood years ago...that would be a real treasure! My son just discovered Jake and he loves the show. My 2 years old son really loves the show. My daughter LOVES Jake and his crew. She was the pirate princess this year for halloween and has had pirate birthday parties. This DVD would get a ton of use - especially on long drives. I'd love to find old coins in a treasure chest! I'd love to find a winning lottery ticket, lol! Thanks for the great offering.The greatest find in a treasure chest would definitely be precious gems for the family. Cheers. My twin boys are Jake fans....and I guess I am too. I love Sharky and Bones! I'd enjoy finding a treasure chest full of money to live comfortably! My son LOVES Jake and the Neverland Pirates! I actually just ordered him a bunch of books from Walmart yesterday for him, that will be from Santa.